Today is my Mom’s birthday. Mom and I haven’t always seen eye to eye, but I believe time lends perspective. Regardless, when I first began to experience symptoms of my illness at the age of 18, I was hospitalized multiple times. In the late 80s, bipolar disorder wasn’t a common diagnosis in young people. No one had my back like mom did. I’m pretty sure at one point plans were discussed for placing me in long-term care, and I came close to being lost in the shuffle. Luckily, my Mom didn’t let that happen. Navigating the mental health care system on behalf of a child or loved one can be a daunting task. Dealing with hospitalization, doctors and medications, insurance, and therapy appointments is overwhelming. (I know this because later in life I became a caretaker of someone I love who also has bipolar disorder.) But that is another story, perhaps for another day. If you find yourself in the position of caring for a loved one with a psychiatric condition, there are things you can try to make the journey a little easier. 1. Knowledge is power – I once had a life coach who encouraged me to educate myself about things when I became anxious. The more you understand something, the less frightening it is. Read everything you can about the mental health system, the illness, and the medications being dispensed. 2. You are not alone – In a given year one in four Americans experiences mental illness. Look for support groups in your community or online. 3. Practice self-care – Take breaks from care-taking and focus on doing something you like. For me it’s crafting or writing. 4. Eat well & exercise – If you don’t feel like hitting the gym or eating broccoli, start with something small. Drink a cup of soothing, decaf, herbal tea, go for a short walk. Don’t want to walk? Maybe just do some stretches. 5. Corral your thoughts – It is helpful to keep journals during this time; one for tracking things like medication changes, or advice you’re given that needs following up on. You can also log notes about your loved one’s progress. A second journal can be all about you. How are you feeling about all this? Write it down. 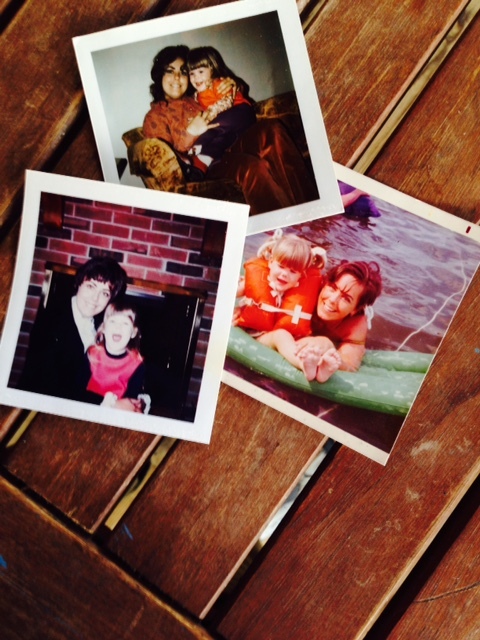 I’ll close with this: Happy birthday Mom, … and thanks! Great advice, Colleen. As always, you are generous with your thoughts and advice. I’m going to share this post with a friend who reminds me of your mom. Keep writing these helpful and inspiring posts.